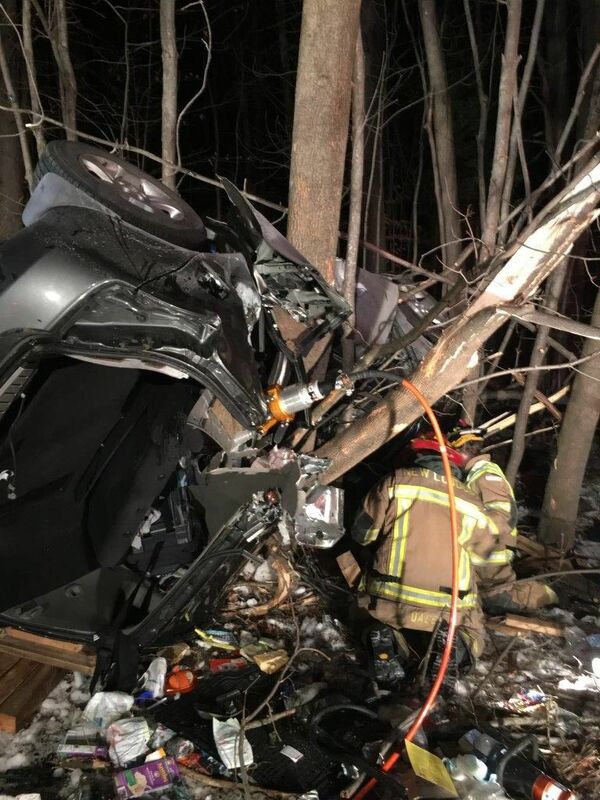 A Rockland MA man was killed and two people injured in a single car crash on I-89 on Saturday evening. Police say 24 year-old Eliecarmiche Alvarado’s 2003 Nissan left I-89 SB in Grantham and hit struck several trees in the median just after 7:30 pm. Rescue workers from Grantham, Springfield, and New London worked for over an hour to extract the victims. Alvarado was pronounced dead at the scene. A female passenger was airlifted to D.H.M.C. with multiple injuries and a child in child’s safety seat suffered minor injuries and taken to D.H.M.C. by ambulance. The accident remains under investigation. Windsor’s Winter Farmers Market is opened for business. The Windsor Winter Farmers’ Market is opened the 1 and 3 Saturday of every month through May from 11am-2pm. The event is at the Windsor Welcome Center at 3 Railroad Ave and has many offerings. Hand knitted mittens, bracelets and natural cleaners were some of the items that Jennifer Johnson sells. Johnson said she was tired of all the chemicals in cleaners and now makes her own to sell. J&B Split Rock Farm of Weathersfield offers free range, grass feed, finished beef and other home made goods. It was Erika Konkel’s first day at the farmer’s market and she was selling handmade napkins, non-toxic crayons in shapes of Hello Kitty and other characters, as well as homemade bread. In addition, vendors were offering knitted hats, note cards and handspun yarn. The next Windsor’s Famers Market is January 16. Email Windsor.vt.farmers.market@gmail.com for more information or you are interested in being a vendor. A Bellows Falls woman was arrested on multiple drug charges on Saturday evening. Bellows Falls Police say the arrest of Elizabeth J. McAllister 53, was a result of an investigation that began in the summer into the distribution of illegal drugs in the Bellows Falls Area. A search of McAllister’s 37 Front St. residence garnered a large amount of prescription pills packaged for re-sale, over two ounces of Marijuana, Has, and psilocybin mushrooms. The Bellows Falls woman was arrested for Sale and Possession of Heroin-Less than 200mg, Possession of Oxycodone, Oxycontin, Clonazepam, Amphetamine, Methadone, Fentanyl, Hydrocodone, Psilocybin Mushrooms and Possession of Marijuana-Greater than 2 ounces. McAllister was given a citation to appear in court on a later date. Calling all photographers. The Town of New London is seeking photos for the 2015 Annual Report. All photos should be at least 300 dpi and be 5×7 or larger. Photos are due by January 8, 2016, digital photos can be emailed to office@nl-nh.com. Hard copy photos can be dropped off or mailed to Town of New London, 375 Main Street, New London NH 03257. Make sure to include your name, address, phone number and email. Copyrighted photos will not be used without proper permission. Captions for photos are appreciated. Any questions please call Jennifer or Dianne at the Selectmen’s Office at 526-4821 Ext 10.